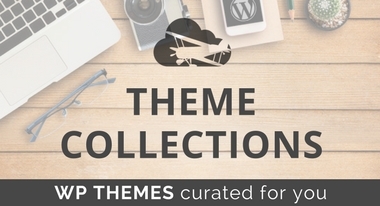 Nimbus Themes / Magazine / Guides and Tutorials / Joomla or WordPress: Which is the Right Content Management System For You? 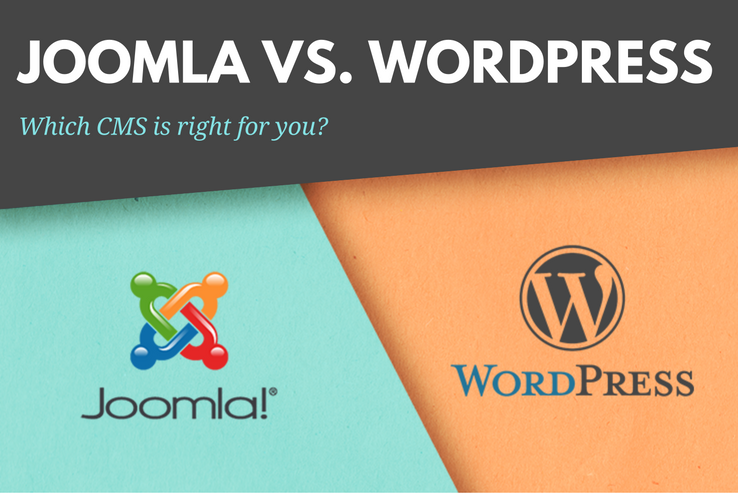 Joomla or WordPress: Which is the Right Content Management System For You? Choosing the right content management System (CMS) for your business can be a truly daunting task. There are a number of elements you need to factor in before making a decision, including (but not limited to!) customization options, ease of use, and community. And once all is said and done, how can you be sure that you’ve made the right decision? Switching from one CMS to another (such as Joomla or WordPress) once your site is set up is no mean feat. Although WordPress is currently the world’s most popular CMS by an enormous margin, there are viable alternative platforms for creating and maintaining websites – such as Joomla. Furthermore, “most popular” does not always mean “best.” Both WordPress and Joomla can be employed to build feature-rich websites, but could Joomla be a more appropriate choice for your unique needs? This article will compare and contrast WordPress and Joomla, taking into account their respective functionality, ease of use, community support, plugins and themes, and more. But before we begin, let’s first go over the basics of both content management systems. What Do I Need to Know About WordPress and Joomla? There’s an abundance of blogging platforms out there, though not all are equally popular. According to a recent study conducted by W3Techs, WordPress holds a 58.5% content management system market share, while Joomla tails way behind with a relatively paltry 7.2% market share. While the reasons for this dominance aren’t often discussed, widespread adoption from web hosts, functionality that is ideal for mainly low-traffic sites running blogs, name recognition, and a parent company dedicated to WordPress’ growth have blown the other contenders out of the water. Both CMSs have their own pros and cons, not to mention diehard fanbases, each advocating their chosen platform. Despite their differences, we aim to compare and contrast WordPress and Joomla, ultimately helping you to determine which is right for you. Once we’re done exploring the two CMS, we’ll finish with our summary findings. Ease of Use. This criterion gives you insight into the level of technical expertise you need to create and run a website. Community. A good CMS has a large, friendly community backing it up. Active community members also contribute to support forums, making troubleshooting a relative breeze. Plugins and Themes. Extensibility is an extremely important factor. 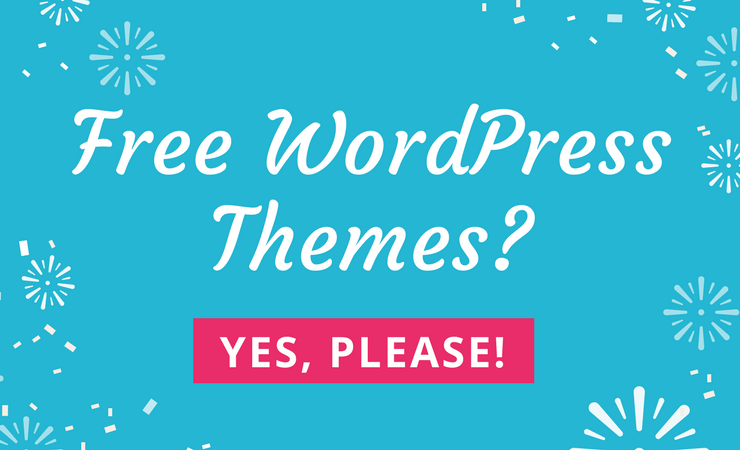 The number of themes and plugins available to choose from makes it easier to customize both design and functionality. There are, of course, many other factors with which you can evaluate both systems, but we have to draw the line somewhere. We see the above criteria as the most important to focus on. With that out of the way, let’s take a closer look at WordPress and Joomla! The intuitive WordPress back end at a glance. WordPress was originally a blogging platform, but these days, it enables you to create fully functional websites of just about any type. Despite that power, it remains a great platform for users who aren’t particularly programming literate. Ease of Use. WordPress is incredibly easy to use, and if you do get stuck, there’s a wealth of documentation and support available. The learning curve associated with it is pretty low, which makes it relatively easy for non-developers to create fully functional websites. Community. WordPress has a community unparalleled in size, and forums across the web where users can meet and collaborate. Plugins and Themes. You will find over 48,000 free plugins in the Plugin Directory, and thousands of themes in the Themes Directory. 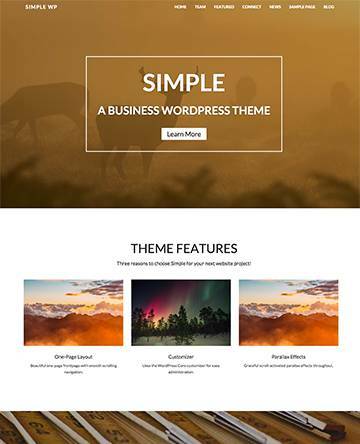 In addition, developers offer premium themes and plugins across various marketplaces (such as ThemeForest) and independent stores (such as us!). Quite simply, WordPress ticks all the right boxes for many people – developers and end users alike. What’s more, given the platform’s famous five-minute install and low entry barrier for getting involved, it has ‘on-paper’ appeal for wannabe site owners of all stripes. Joomla’s back end is a little more complex. Joomla is a powerful and robust platform that’s great for building many different kinds of websites, including business, non-profit, government, schools, and even blogs. The platform itself takes a little getting used to due to its complex structure and may not be the best choice for beginners. Ease of Use. The learning curve associated with Joomla is steep. The platform has a complex structure which makes it difficult for users who don’t have a lot of technical expertise. Community. The Joomla community is large, though not nearly as big as WordPress’. 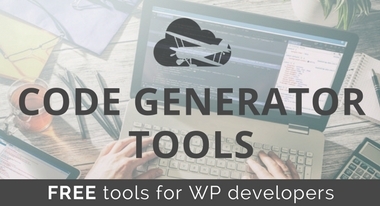 Plugins and Themes. The extensions directory has over 8,600 extensions – nearly half of which are premium, while the rest are free. Unlike WordPress (for the most part), Joomla has templates for both the front and the back end. Overall, Joomla has a lot of similarities to WordPress, but not where it matters. As it stands, Joomla has a reputation as a developer’s platform – and given its steep learning curve and smaller community, you can see why. How Do I Choose Between WordPress and Joomla? In some ways WordPress is more flexible than Joomla – for example, when it comes to content management and SEO power. On the other hand, Joomla beats WordPress in terms of customizing your site without having to install extensions. However, when you need to choose between Joomla and WordPress, there can only be a single best solution. Functionality Flexible enough for non-technical users to create and customize small-scale websites. Great for complex content publishing sites. 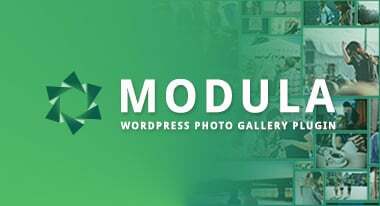 Its modules open up tons of customization possibilities for the user. Ease of Use Doesn’t require a high level of technical expertise. The back end is intuitive and easy to use. The interface isn’t easy to get started with, and the platform has a pretty steep learning curve. Community Has a large, active community that contributes to plugin and theme development, forums, and support. Has a smaller (though still large) community that contributes to Joomla templates (front end and back end) in addition to extensions. Plugins and Themes Over 48,000 free plugins and thousands of free themes, with premium alternatives in abundance. Over 8,600 free and paid extensions, not to mention thousands of templates. Which content management system you end up going with ultimately depends on your requirements. 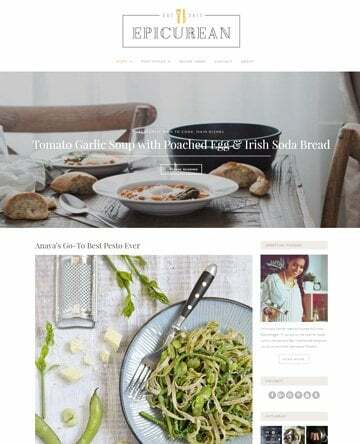 If you’re thinking about launching a blog, online store, news desk site, or any small-scale website, then WordPress is almost certainly the better option. It allows you to get started with a step in the right direction – even if you’re a non-technical user. WordPress makes it easy to create, modify, and publish posts. In addition, site maintenance is a breeze with the wide range of tutorials, plugins, and solutions that are available. In short, WordPress’ strength lies in its flexibility, customizability, and ease of use. On the other hand, if your site is going to be more complex, such as a social networking platform, large-scale online store, or an enterprise site, then Joomla has the right foundation for building intricate platforms. The main thing you need to keep in mind is that it isn’t as straightforward as WordPress, in every sense of the word. If you’re not technically apt, then we recommend outsourcing your site’s development. In a way, Joomla’s complexity is its strength. One of the most important decisions you’ll have to make when creating a website is which CMS it’ll be based on. There’s plenty of choice, and each enables you to get onto the ladder as cheaply as possible. However, in reality, you’ll likely settle on one of the big guns such as WordPress or Joomla. However, rather than plump for any old solution, it’s crucial you identify your own needs before whittling down your options accordingly. That way, you can start your journey without hassle, rather than fight with a system that doesn’t fulfill your exact requirements. This article has the information you need to make an informed decision. 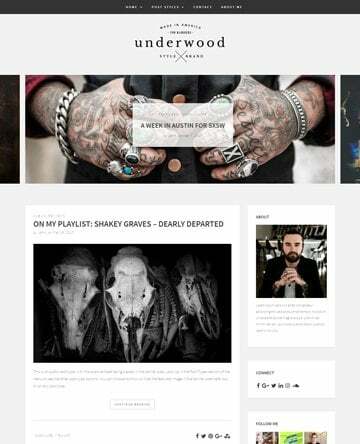 WordPress: Great for users who want a flexible yet easy to use content management system. 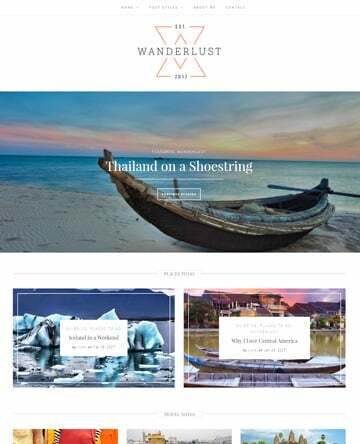 It’s great for creating small-scale websites. Maintaining a WordPress site won’t be tough on your wallet, so if your budget is low, you should perhaps opt for this powerful platform. Joomla: An ideal choice for web developers and “power users” who want to create a complex website. Its complexity and customization possibilities makes it one of the best content management systems for creating large-scale platforms. Which content management system are you leaning towards? Let us know in the comments section below!